Peaceful Little Town Called BORBON! The things I know about our beloved town are but superficial. It’s a shame really on my part knowing that I was born, raised and lived here for 30 years of my existence. There are few people who asked me if I know every nook and cranny of our small little town and my pressing answer is YES! (heads up pa jud na ha). But deep inside my head, if you were to ask me what’s in there between the mountainous border of Bingay and Campusong near Liang, or what to explore in the barangays of Bili, Lugo, Bongoyan, Cajel and going as far as Sitio Liki…I can only tell what my forefathers have told about those places in their classical and bedtime stories. Demographically or as to the physical setting of those places, nah! Which is exactly why it was fortunate for my part this time, to have been able to learn, explore and get acquainted with the places I am not familiar with through the net. Honestly, I didn’t know that our town has been blessed with countless beauty (nature and man-made alike) which could be the best opportunity for local or international tourists to travel and experience the best of Borbon. Or better yet, the source for local tourism industry to flourish. 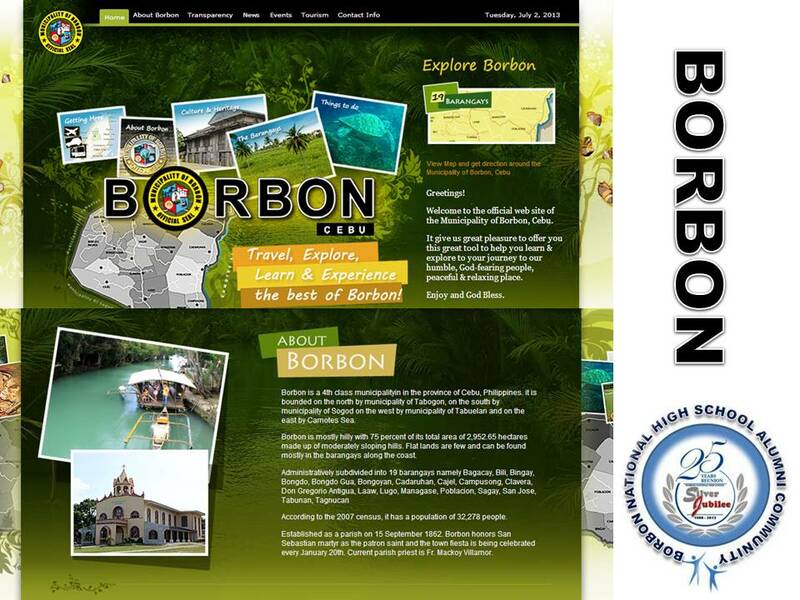 Those who want to know further about aesthetic places to explore and enjoy in Borbon along with your barkadas, try visiting our municipality’s website http://www.borboncebu.net/. I was amazed to see how our local government unit nowadays instigated the promotion of our municipality in the worldwide web. In addition, the municipality’s site will give you the top picks of what to experience and discover in our peaceful yet beautiful little town. How about you? Do you really know every nook and cranny of our town?